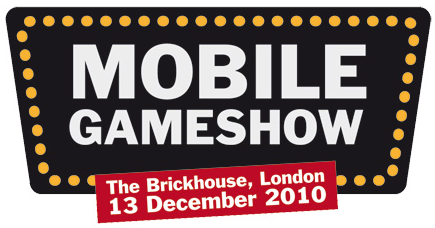 The organisers of next Monday’s [December 13th 2010] Mobile Gameshow – Camerjam – are giving away 50 Mobile World Congress tickets courtesy of their sponsors RIM/BlackBerry, OpenMarket, Velti and Smaato. The good news is that in order to win all you’ve got to do is register for the first ever Mobile Gameshow here.The show takes place at The Brickhouse on Brick Lane in London East End from 14.00 to 18.00 hours on 13th December. As a special treat, the whole event will be run in the format of classic TV gameshows such as Mobily Fortunes; Mobilemind; Mobiversity Challenge; and Appety-App. It’s you chance to ask questions which will cover all things mobile and gaming. Camerjam gives special thanks to Seb Lee Delisle, technical director with Plug-In Media for his assistance in the delivery of each of the above gameshows. Recent additions to the speaker line-up are: Andy Favell, editor, of MobiThinking; Scott Seaborn, head of technologies at Ogilvy; Sanj Matharu, head of developer marketing for Vodafone; Raam Thakrar, CEO with Touchnote and Ben Scott Robinson, creative director with We Love Mobile. Countdown2MWC can’t resist giving namechecks to some of its mates who will also be speaking. Step forward Monty Munford, journalist extraordinaire and former Bollywood star; Andrew Darling currently md with West Pier Media and Tim Green editor of Mobile Entertainment.